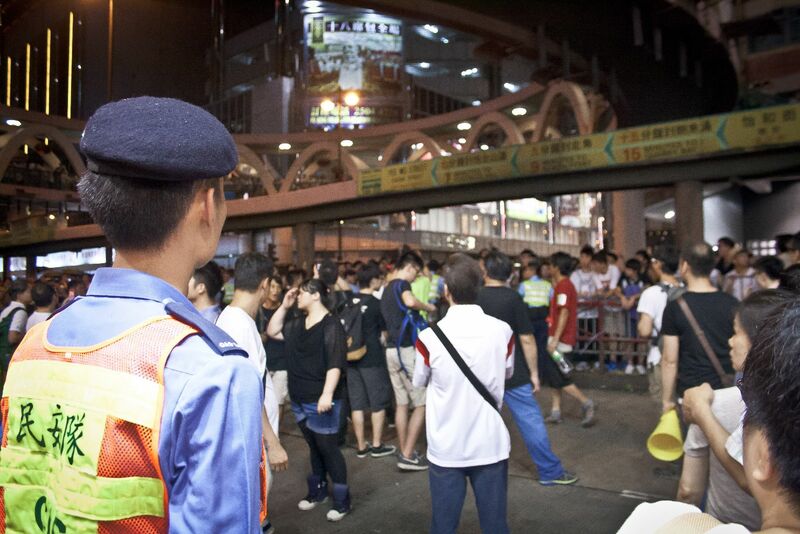 As Hong Kong opened for business on Monday, protests continued across the city, blocking roads and closing schools. The protests, the latest wave beginning over the weekend, were in response to Beijing’s announcement of tight controls over who can run for the next elections in 2017. Under the „one country, two systems“ framework agreed upon when Hong Kong became independent of Britain in 1997, the city state’s citizens had been promised universal suffrage for electing their next chief executive. But Beijing’s announcement puts this in jeopardy. The latest pro-democracy protests led to mass arrests and the use of tear gas by riot police. But thousands of people refused to back down, employing the „hands up“ gesture used in Ferguson, Missouri last month. In response, Beijing censored any mention of the protests in mainland China’s media, and blocked Instagram in a likely attempt to avoid citizen journalism. It had already been suspected that Beijing was using propaganda to quell the protestors – censorship was just the next step.